"EPA Administrator Scott Pruitt’s decision to delay enforcement of the provision was based on arguments that when the Obama administration wrote the rule, it violated procedures by not allowing stakeholders to comment on some parts of what became the final regulation. “The administrative record thus makes clear that industry groups had ample opportunity to comment on all four issues on which EPA granted reconsideration, and indeed, that in several instances the agency incorporated those comments directly into the final rule,” two of the judges on the three-judge panel wrote." "Yale Climate Connections asked the principal authors of both of those papers to weigh in on the state of fracking research. Each pointed to notable trends, and each agreed that uncertainties still plague key areas." 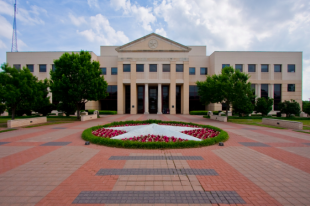 TALLAHASSEE The Florida Senate reversed years of opposition to a statewide ban on oil and gas fracking and advanced a bill Tuesday that will prohibit the controversial practice in Florida. REFUGIO, Texas – A natural gas pipeline explosion and fire in Refugio shook homes up to 60 miles away early Wednesday morning.The flames from the explosion shot more than 200 feet into the air and could be seen from miles around. Less than two weeks after taking office, Gov. Jim Justice’s administration quietly deleted permit language intended to protect residents in West Virginia’s natural gas regions from excessive noise and bright lights from compressor stations and other facilities that are springing up across those communities. How blind is this Texas oil regulator's blind trust, managed by his brother-in-law? After a three-year investigation in Pennsylvania, Public Herald has uncovered evidence of widespread and systemic impacts related to “fracking,” a controversial oil and gas technology. Massachusetts judge has ordered Exxon Mobil to submit 40 years of documents regarding the company’s studies of the impact of fossil fuels on climate change. (CNN)Looking to cement his environmental record, President Barack Obama took new action Tuesday barring offshore drilling in areas of the Arctic and Atlantic oceans indefinitely. We are most grateful for the comments and suggestions provided by J. Hays (PSE Healthy Energy). ​WASHINGTON — The Environmental Protection Agency has concluded that hydraulic fracturing, the oil and gas extraction technique also known as fracking, has contaminated drinking water in some circumstances, according to the final version of a comprehensive study first issued in 2015. Marsha Haley, M.D., is a radiation oncologist at two of the University of Pittsburgh Medical Center hospitals. She’s also a concerned mother of a 10-year old. Together, they live in a newer, suburban neighborhood in the Borough of Seven Fields, Butler County, PA. Her daughter attends the local elementary school, part of a five building K-12 campus very close to natural gas well pads. Over the past few years, as fracking operations crept closer to school property, Dr. Haley became more and more concerned about the proximity of wells to school children. It’s not easy to evacuate a school and Dr. Haley particularly was worried about blast zones should an explosion at a well pad occur. U.S. Senator Jeff Sessions (R-AL), President-elect Donald Trump's nominee for U.S. Attorney General, introduced the first so-called “Halliburton Loophole” bill back in 1999 before it was ever known as such. Top officials of the U.S. Environmental Protection Agency last year made critical changes at the eleventh hour to a highly anticipated, five-year scientific study of hydraulic fracturing’s effect on the nation’s drinking water. 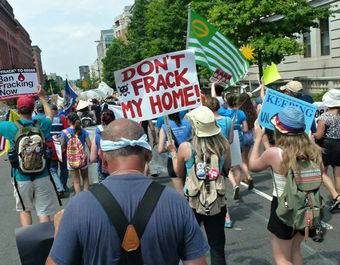 The changes, later criticized by scientists for lacking evidence, played down the risk of pollution that can result from the well-drilling technique known as fracking. ​In western Wyoming, the area around Pinedale is also out of compliance with federal ozone standards, a problem clearly linked to nearby oil and gas development. 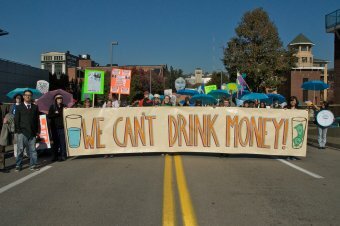 One year ago, on September 24, 2015, a new company owned by billionaire Terry Pegula — JKLM Energy — announced that it had contaminated private drinking water supplies while *drilling for natural gas in Potter County, Pennsylvania.The threat of contamination reaching nearby public water sources forced the shutdown of two public water systems and began what is known as the “North Hollow” investigation. Chesapeake Energy Corp (CHK.N) said it received a subpoena from the U.S. Department of Justice seeking information on the accounting methodology for the acquisition and classification of oil and gas properties. Provisions in the natural gas and oil drilling law known as Act 13 were ruled unconstitutional Wednesday by Pennsylvania Supreme Court. All were struck down as violating either state or U.S. constitutions. Fracking creates an ecosystem 2.5km beneath the Earth’s surface:Long term tracking shows the microbes are still there a year after the frack. The United States needs to put a price on carbon dioxide and other pollutants and overhaul energy policies to help avoid catastrophic climate change and other public health calamities, according to a report released today by the National Academies of Sciences, Engineering and Medicine. The U.S. Geological Survey on Wednesday revised the official magnitude of the earthquake that shook Oklahoma on Saturday to 5.8 from the initial estimate of 5.6, making it the strongest temblor ever recorded in the state. A Clean Air Task Force study unveiled Wednesday found there are more than 750,000 summertime asthma attacks in kids nationwide linked to ozone smog from oil and gas pollution. The study calculated 32,477 asthma attacks every summer afflicting kids in Colorado, which ranked third behind Texas and Oklahoma, and 20,466 cases in the Denver-Aurora area, which ranked fifth behind Dallas, New York, Washington D.C. and Houston. 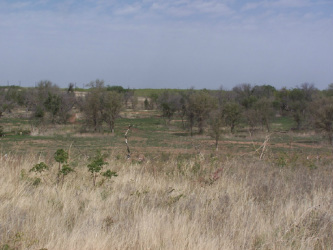 The Kansas Corporation Commission has further restricted the amount of oilfield wastewater that can be injected underground in southern Kansas in the hopes of further reducing the number of earthquakes in the region. On Tuesday, July 26, Florida's Environmental Regulation Commission voted 3-2 in favor of passing controversial new water quality standards that will raise the maximum allowable levels of more than two dozen cancer-causing chemicals to be dumped into the state's rivers and streams. "Environmental groups say Carroll cancer risk has increased with drilling, but county's total risk is still less than the risk in downtown Canton." ​IOGCC, a collective of state-level oil and gas industry regulators or other official state representatives appointed by governors (sometimes lobbyists or industry executives), merges together industry interests and regulators by bringing them to the table at biannual meetings and providing a network through which to maintain year-round communications and coordination. A coalition of community and environmental health groups released Thursday a first-of-its-kind research combining air monitoring methods with new biomonitoring techniques to determine if toxic air emissions from natural gas operations could be detected in the bodies of nearby residents.Read article here. Back in 2012 "homeowners reported their water had turned brown, became flammable or started clogging their well with “black greasy feeling sediment” after Cabot Oil and Gas began drilling in the area. The EPA seemed to conclude the water wasn’t so bad." Texas Oil & Gas Association thinks that studies pointing out health effects and dangers of fracking and oil production is “junk science.” Are we really surprised by that? We all agree that "the debate over what to do about oil and gas extraction and refining should be based on facts and sound science." So what are the facts that scientists, industry and legislators say about the impact on health and the environment? Exxon and others, green groups say, will be shown to have misled investors and the public about the true state of climate science and will be fined, condemned and buried in the very ground from which it extracts its evil fuels. "The study -- the first to specifically focus on how shale oil and gas drilling affects children ability to breathe -- concludes that starting in the womb, children's developing respiratory systems are particularly at risk from five airborne pollutants associated with fracking and drilling. "We conclude that exposure to ozone, [particulate matter], silica dust, benzene, and formaldehyde is linked to adverse respiratory health effects, particularly in infants and children," the researchers wrote in the study." Reported concerns for leaking compressors, tanks and wellbores go unheard by TCEQ. But Earthworks has hired its own certified inspector that takes to the road to heare these complaints and gives citizens the right to know what is happening in their back yard. As a side bar: Earthworks Sharon Wilson has flired our Mansfield leaking sites--see them on Youtube. Everyday, we hear how good the gas and oil industry has been to our economy and job. But at what cost? "Former EPA scientist Dominic DiGiulio never gave up." "Eight years ago, people in Pavillion, Wyo., living in the middle of a natural gas basin, complained of a bad taste and smell in their drinking water. U.S. EPA launched an inquiry, helmed by DiGiulio, and preliminary testing suggested that the groundwater contained toxic chemicals.Then, in 2013, the agency suddenly transferred the investigation to state regulators without publishing a final report. Now, DiGiulio has done it for them. "Landowners’ worst fears came true,” Jane Kleeb, the head of Bold Nebraska, told DeSmog after news broke about the latest Keystone pipeline oil spill. “When you have a pipe running through your farm or ranch-land all you think about is: it could break today.” On Saturday afternoon that fear was realized by a Hutchinson County, South Dakota land owner. Loern Schulz found oil in surface water near the Keystone pipeline’s right-of-way and reported the spill. ​"
Published April 7, 2016. Cross Post April 11,2016. The Obama administration said Tuesday it will not allow offshore drilling in the southeast Atlantic Ocean – a significant reversal from its original plan and a major victory to coastal communities and environmental activists who fought the proposal. Opponents galvanized around the issue last year after the Bureau of Ocean and Energy Management released a draft of the 5-year plan that included leasing waters off the coasts of South Carolina, North Carolina, Georgia and Virginia in 2021. “Today’s publication supports what moms living in shale fields have known for a long time: Our children, who are a vulnerable population, are not adequately protected from the hazards of unconventional wells with the current setbacks,” said Patrice Tomcik, of Moms Clean Air Force. Last year, City Paper wrote about an hydraulic fracturing, or fracking, well pad being developed approximately a half-mile from her children's school — Mars Area School District, where about 3,700 children are enrolled." "Methane emissions from existing sources in the oil and gas sector are substantially higher than we previously understood," McCarthy told IHS CERAWeek, the annual gathering of global oil executives, though she did not quantify the difference.The data confirm that we can and must do more on methane," McCarthy said. "By tackling methane emissions, we can unlock an amazing opportunity to better protect our environment for the future." (Scranton, Pa.) – Dimock PA families with water contamination from drilling will be going to federal jury trial against Cabot Oil & Gas starting February 22nd for what could last 20 days. Leaking Methane From Aliso Canyon, California. Please click on the different tabs to see the actual loss. Never say never! WOW--Commissioners with Balls! You don't see that everyday. "Tuesday’s ruling comes two weeks after a contentious, well-attended public hearing which addressed a proposed 10-month countywide moratorium. At that hearing, industry leaders stressed the economic importance of natural gas development and community members voiced concerns about their health and safety. Industry here in Texas has got to figure out a way to save money. They have discovered a loop hole in classifying a gas well vs an oil well. "In these days of plummeting oil prices, petroleum companies look to protect their bottom lines most any way they can — by scaling back production, laying off workers or using technology to drill more efficiently and cheaply, for instance.Producers in Texas can pursue another option: start calling their oil wells gas wells." Oklahoma knows that their earthquakes are not "naturally" occurring. After the 4.0 earthquake that was felt across several states, the Oil regulator finally calls for a shut down of several injection wells. 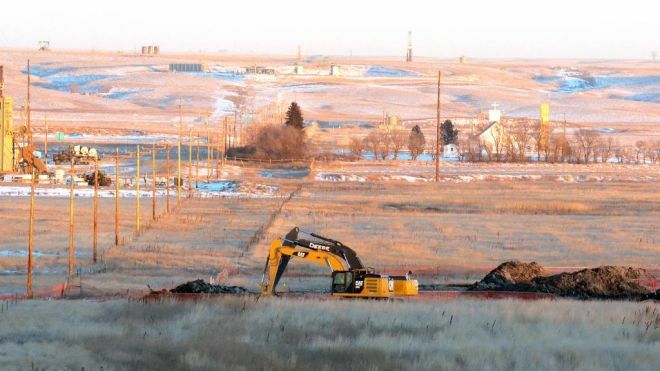 "State oil and gas regulators on Nov. 19 ordered two oil and gas companies to shut down four disposal wells near the town of Crescent after a 4.0-magnitude quake was recorded earlier that day". Read story here. "The States First response consists of a newly released manual for regulators titled “Potential Injection-Induced Seismicity Associated with Oil & Gas Development: A Primer on Technical and Regulatory Considerations Informing Risk Management and Mitigation.” Basically that’s fancyspeak for what we just said — the immediate concern is oil and gas wastewater injected into disposal wells." Read story here. Business leaders would have nothing done for the Ozone--it's all good.“Texas just isn’t serious about doing what it takes to get cleaner air,” said Tamera Bounds of Mansfield Gas Well Awareness. “That’s why we need the EPA to take over the job of writing these plans so they stand a chance of actually working.” Read story here. Who do the majority serve? “Everyone knows that climate change is urgent,” Rep. Alan Lowenthal (D-CA) told ThinkProgress in an email. “The Pope knows, our young people know, even China knows, but this House is unfortunately one of the last bastions of irresponsible inaction. The clock is ticking and too many in the majority don’t get it.” Read story here. 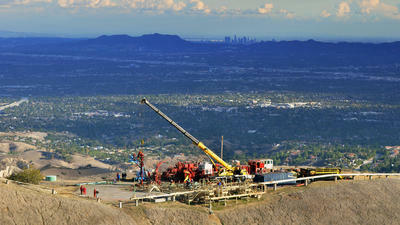 "There is mounting data to suggest that hydraulic fracturing (fracking) can have adverse affects on the environment. A new study, however, suggests that populations living close to fracking sites also have a higher incidence of health complications." Read story here. There is power in the Truth--never be intimidated when doing what is best for your children. An "appeal is pending before Butler County Judge S. Michael Yeager, who has issued a “stay” order on enforcing the zoning ordinance, suspending the planned drilling of six wells on Rex Energy’s Geyer well pad, located along State Route 228, approximately 0.6 miles from the Mars School District campus and its 3,200 students." Read the story here. 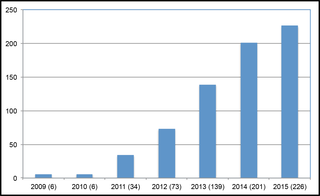 Now-what have has industry been telling us about no linkage of water contaminants to fracking? Sure. "Public Herald confirmed from local officials on the morning of September 24th after receiving an anonymous tip that Coudersport Boro Water System who took its “east” drinking water source offline on Wednesday in order to “keep the public safe” after chemicals typically used for drilling and fracking infiltrated shallow and subsurface groundwater aquifers used for the public water supply." Read the story here. "While the bill is hardly a re­ac­tion to the pope’s vis­it, the pro­vi­sion is an ex­ample of the gulf between ad­voc­ates of stronger ac­tion on cli­mate change and Re­pub­lic­ans, many of whom dis­pute the sci­entif­ic con­sensus on glob­al warm­ing or say that White House car­bon-cut­ting policies will hurt the eco­nomy." Read story here. I thought I heard that there are no documented cases of water contamination related to oil and gas industry??? The "Final Supplemental Generic Environmental Impact Statement," issued by the Department of Environmental Conservation which took 6 years to produce and shows that " adverse environemntal and public health consequences of fracking has grown worse" is now public. This study raises concerns of the negative impacts that high volume hydraulic fracturing has on the environment not "studied before in the State's last analysis of gas and oil developed in 1992." -- Air impacts that could affect respiratory health due to increased levels of particulate matter, diesel exhaust or volatile organic chemicals. -- Climate change impacts due to methane and other volatile organic chemical released into the atmosphere. -- Drinking water impacts from underground migration of methane and/or fracturing fluid chemicals associated with faulty well construction or seismic activity. -- Surface spills potentially resulting in soil, groundwater and surface water contamination. -- Surface water contamination resulting from inadequate wastewater treatment. -- Earthquakes and creation of fissures induced during the hydraulic fracturing stage. -- Community impacts such as increased vehicle traffic, road damage, noise, odor complaints,and increased local demand for housing and medical care. While careful to say all options are on the table, several scientists CBS 11 spoke to referred to the Texas quakes as induced, presumably by human activity.“We have noticed there’s been a surge in activity in the Central U.S. in the past decade that accompanied a surge in, hydrofracture and waste injection activity,” Choy said. Who says pipelines done't leak? By:Concerned Health Professionals of New York. (2014, December 11). Compendium of scientific, medical, and media findings demonstrating risks and harms of fracking (unconventional gas and oil extraction) (2nd ed.). Jessica Ernst finally wins her 12 year long lawsuit against Encana for contaminating her well water. "This judgement reaffirms the power of the people. It's a very positive development," she said. A group of Mars Area parents continued to press the school board Tuesday about protecting the health and safety of district students as five gas wells are planned approximately a half-mile away from the schools.Read more here. According to an executive with Haliburton, frack fluid is made " entirely of ingredients sourced from the food industry" making it safe to drink. However, other additives that may be present in fracking water include chemicals such as swimming pool cleaners, soil conditioners, antifreeze, household cleaners, ceramics, disinfectants, glass cleaner and hair coloring--just to name a few. Wonder which food industry produces these chemical? Its bad enough that the process of Fracking mixes toxic chemical along with water and sand, but adding deisel increases the carcinogenic factors that are released into the environment. Energy companies have been caught adding thousands of gallons of diesel to water to use for fracking without permits required by the EPA under the Safe Drinking Water Act. Read article here. Candidates vying for an open seat on Texas Railroad Commission(TRRC) were glad to see the agency's efforts to regulate wastewater injection into disposal wells.But they felt the commission still has room for growth with restoring public faith in in TRRC's ability to to provide sufficient oversite. Read article here. 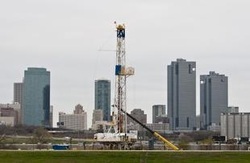 Denton isnt the only city speaking up about concerns for fracking and seeking a ban. Alpine residents flooded city hall to complain and discuss their concerns. Read article here. Flash Fire Burns 4 People; methane contamination in water source possible cause. Flash fire stemming from a well house causing burns to 4 people including a 4 year old were airlifted to hospital. Fire is suspected to have been caused by water contaminated by methane. Read article here. 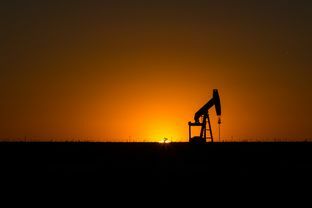 In an article in the business section of Ft Worth's Star Telegram, seems that landowners are finding the benefits of leasing their mineral rights may not be as profitable these days as before. Courts ruled in favor of Chesapeake's decision to deduct post-production costs from individual royalty checks. 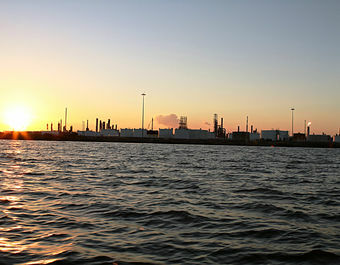 With the reduction in production in the Barnett Shale, Chesapeake began to "rethink" how the royalities were currently paid. Instead of fiquring those costs based on gas value at time of wellbore, Chesapeake has decided that the roylaities will now be paid based on "post- production." That means the deduction will include costs" necessary to get gas to market--processes such as compression, dehydration and transport. Read article here. "Close enough" to an already "obsolete anti- smog standard" to bring DFW into attainment compliance with severe ozone levels appear to depend on DFW drivers to use a new EPA mandated gasoline formula. Never mind other heavy pollutant contributors such as Midlothian cement plants, East Texas coal plants and the enormous volume of Barnett shale oil and gas operations in DFW. Jim Schembeck, director of Downwinders at risk, tells Star Telegram, that the 2011 TCEQ plan "aimed at achieving the old 1997 smog standard actually made ozone worse." He warns that leaving the plan "close enough" will leave "at least four DFW monitors representing millions of residents in Tarrant County and Denton out of compliance." Read his article here. Western Resource Advocate: Fracking our Future: Where's the water? 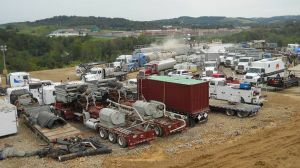 Public Health Watch Blog posts an article stating that recent studies show how Fracking may be more dangerous than we first thought. Click here to read the article. Image taken from article referenced above. Fracking & Health: What Does the Evidence Show? hampered by a shortage of science. Part of the problem is that the fracking industry — through deliberate lobbying efforts — has been relatively successful at blocking research into the health effects of drilling. There are a fair amount of studies on the potential impact of fracking on air and water supplies, but much less research has been done on the long-term health effects for those living near fracking sites. Read more of this article here.